Often the door card in a classic car will warp due to water, which naturally gets past the wind-down window seals in large quantities, finding its way onto the door card. In this course Ed Hughes shows you how to replace the board and reuse the old upholstery. 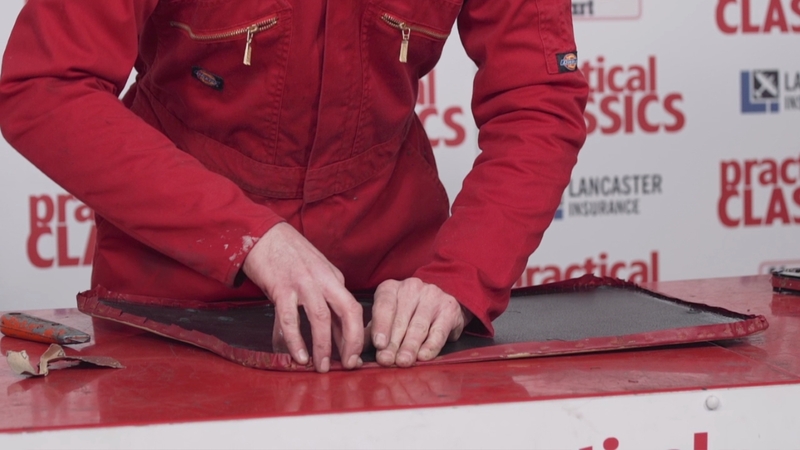 He demonstrates how to remove the old door card, assess the card, clean it and make local repairs. Ed will also teach you how to attach and detach classic trim and explains the options available when reviving your interior. To get the most from this Skill Shack course, feel free to stop and go back whenever you need a better understanding of a technique. That’s the beauty of our video classes: if ever we’re moving too fast, all you have to do is go back and watch again. We’re here to help you get it right, and no matter how long we have to stay in the workshop we’ll be right by your side.